At risk of having embarrassing body hair in areas that haven’t had a visit from a razor or wax strip in a while (we’re all guilty), we’ve seen an increased number of enquiries for our professional laser hair removal treatments. This treatment can remove excessive or unsightly body hair on a number of areas and is proven to give hair growth reduction after the recommended course of treatments. If you’re not happy with shaving, tweezing or waxing to remove unwanted hair, laser hair removal may be an option worth considering. It’s one the most commonly performed cosmetic procedures for effective hair removal. 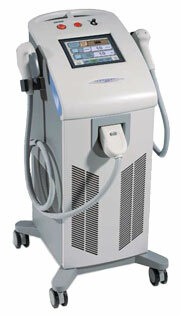 Our laser been designed to remove unwanted hair fast and ensures treatments are pain free. The Soprano XL laser glides over the skin and gently heats targeted hair follicles. The unique, IN-Motion™ technology allows a much wider area of the epidermis (skin) to be treated more quickly and eliminates any missed areas. The laser attracts melanocytes and destroys the hair follicle at the root. 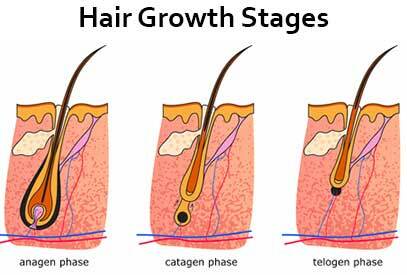 This process is repeated during the length of your treatment until hair follicles no longer produce new hair. The exact number of treatments required for optimum hair removal varies between patients. For best results a consultation is required to analyse the treatment area. Skin colour, and hair colour, texture and density are some of the factors that influence the required number of treatments for complete hair removal. Most people are suitable for treatment. Best results are seen with people who have lighter skin and darker hair. Dark hair is more easily treated as it has a high concentration of melanin. Fair hair however contains less melanin so is harder to treat. Grey/white hair has no melanin so is not suitable for treatment. When the procedure is completed, our therapist may recommend anti-inflammatory creams or cold water to erase any discomfort. The next treatment should be booked 4 to 6 weeks later, and will continue until hair stops growing in the area being treated. Repeat treatments are recommended to ensure each stage of hair growth are treated.